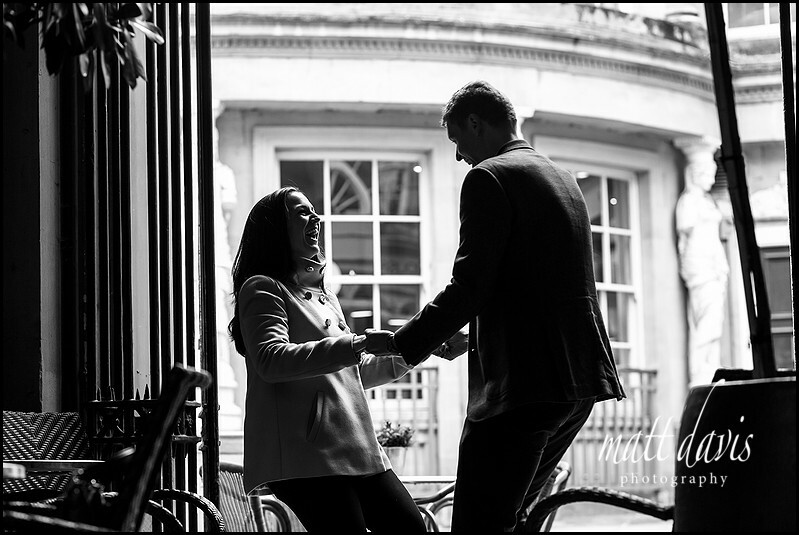 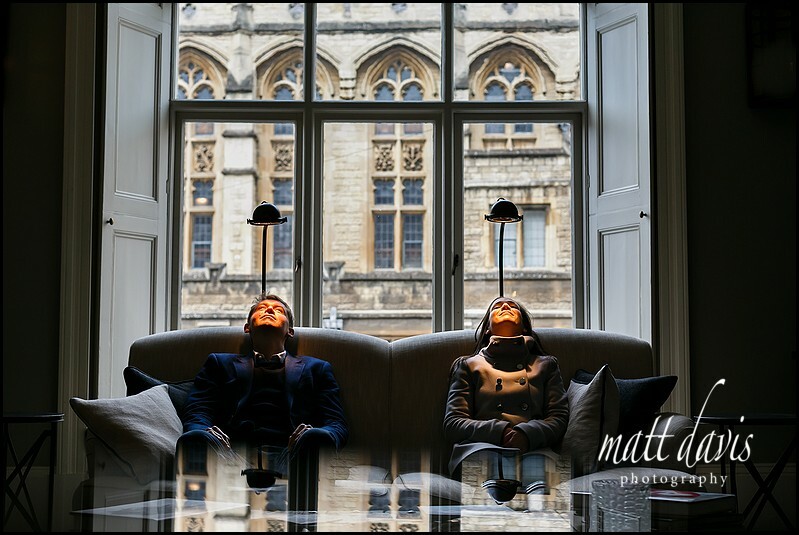 Need some practice in front of the camera before your wedding day? 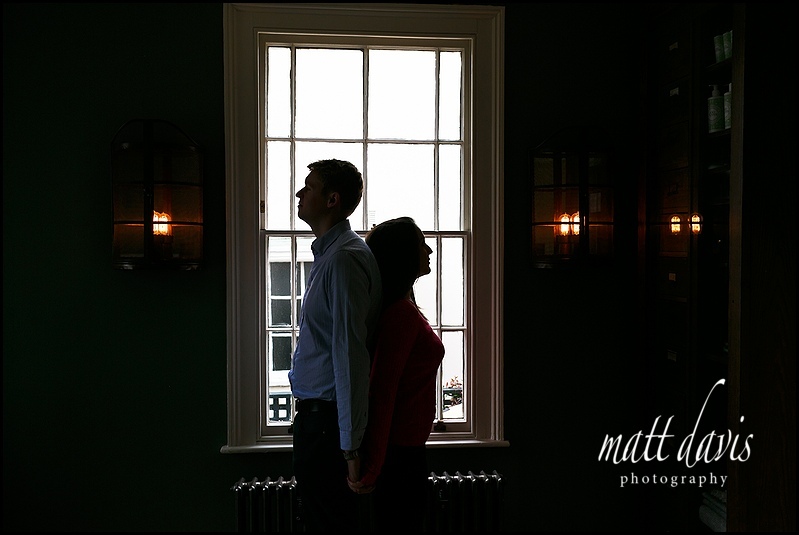 Some do, some don’t! 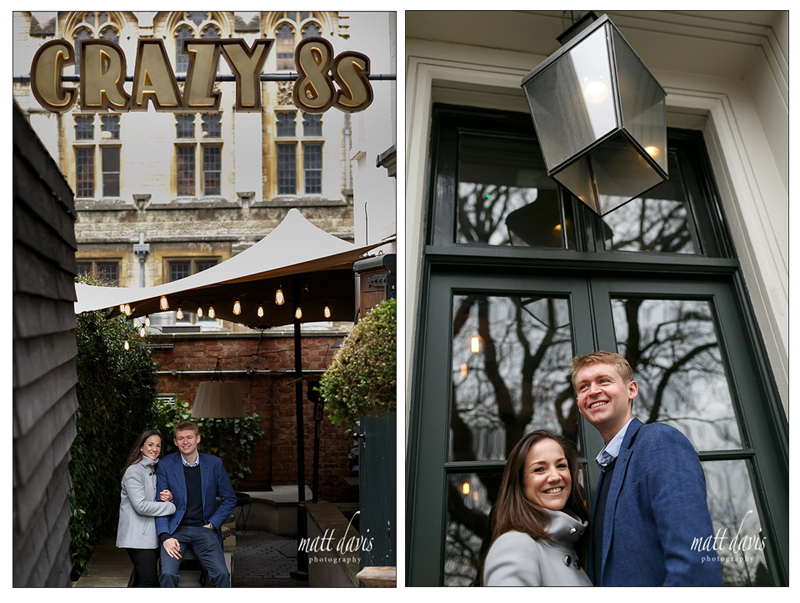 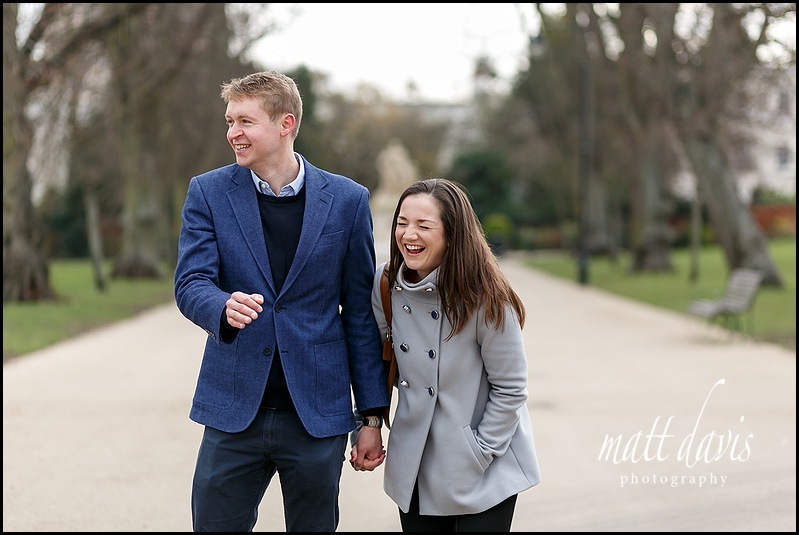 Stuart & Rowena elected to have a few Engagement photos taken with me in and around Cheltenham last week, and to say it was fun would be an understatement. 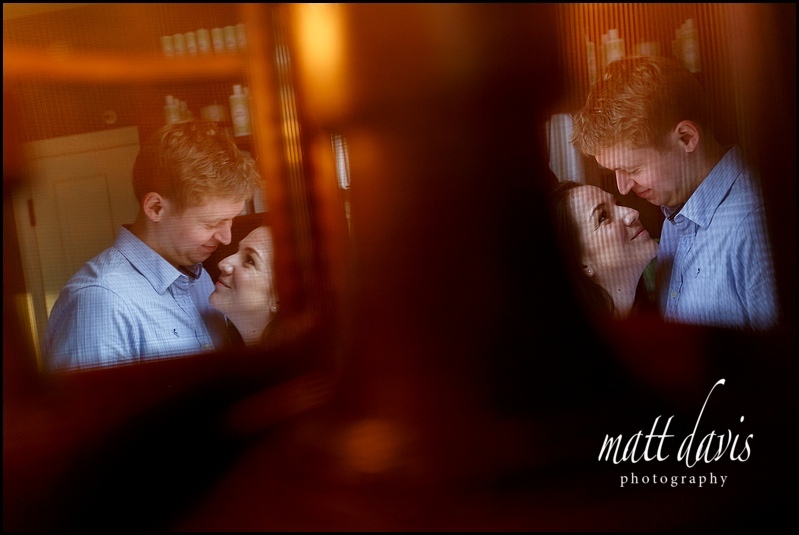 Clearly this is a wedding I’ll have a good time shooting when they get married later in the year at Manor By The Lake. 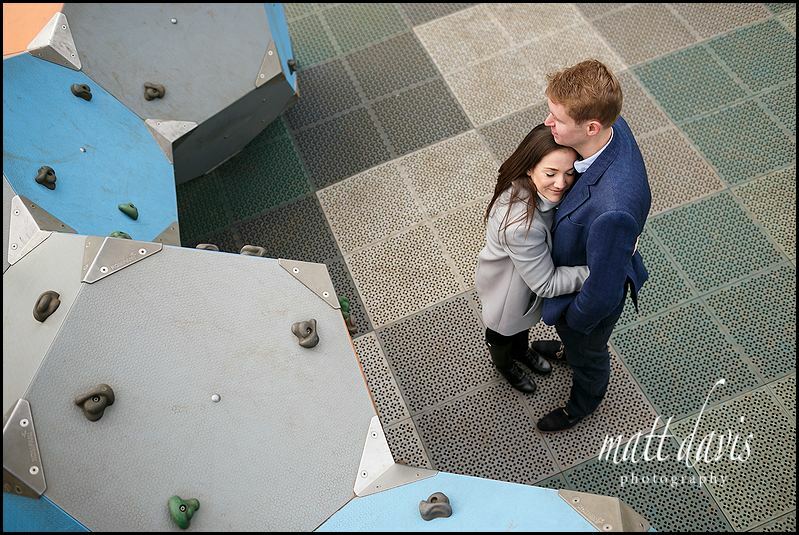 With a chilly nip in the air, we elected to get a few outdoor shots around the park, then headed into the wonderful No. 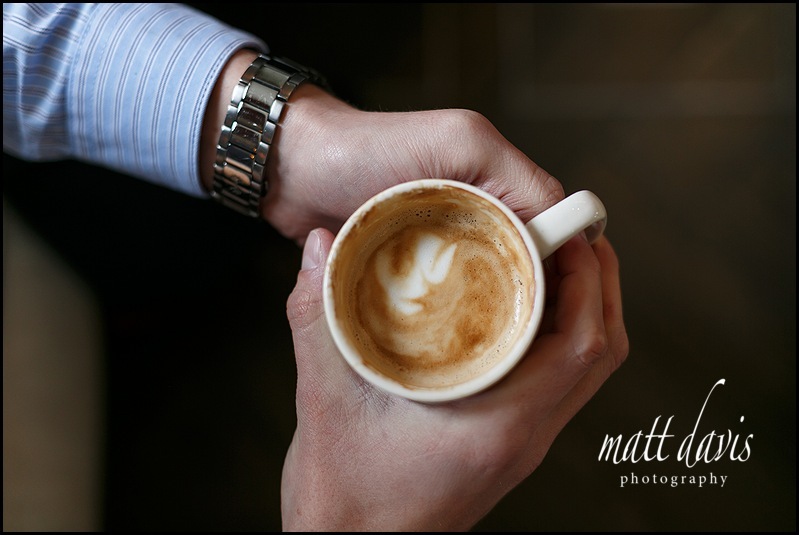 131 for a coffee and relax. 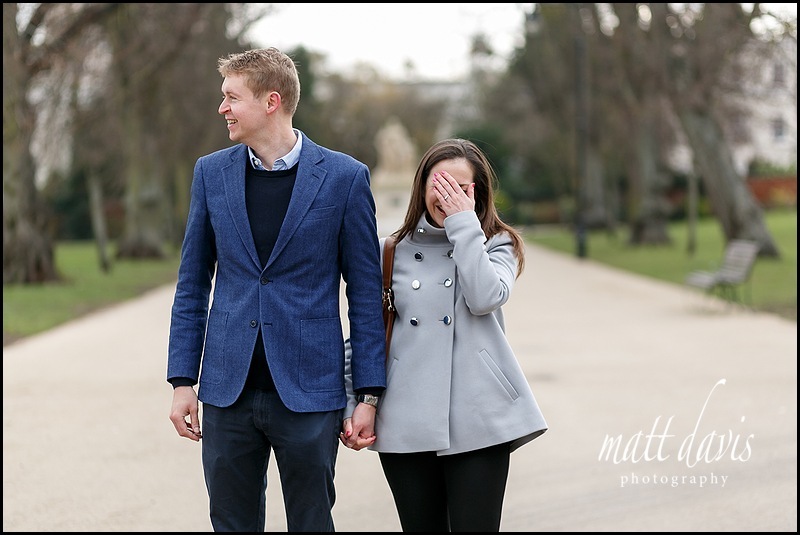 It’s great to have a mix of indoor and outdoor photos from a shoot, plus as rightly pointed out by Stuart, if Rowena is either, cold, hungry or tired we’re in for a disaster! 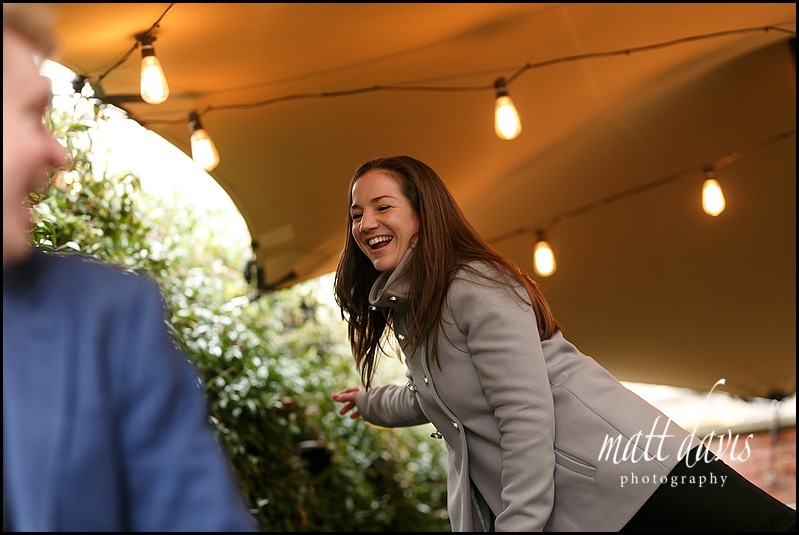 Warming up, and getting refreshments was a good call! 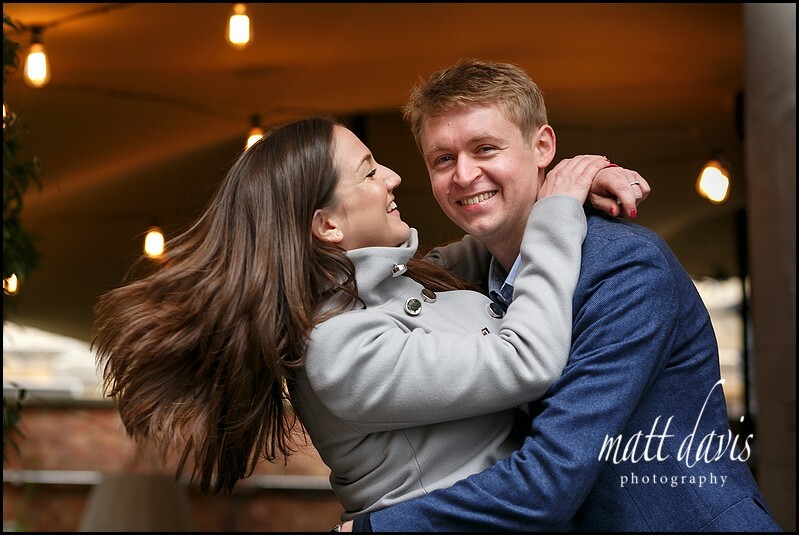 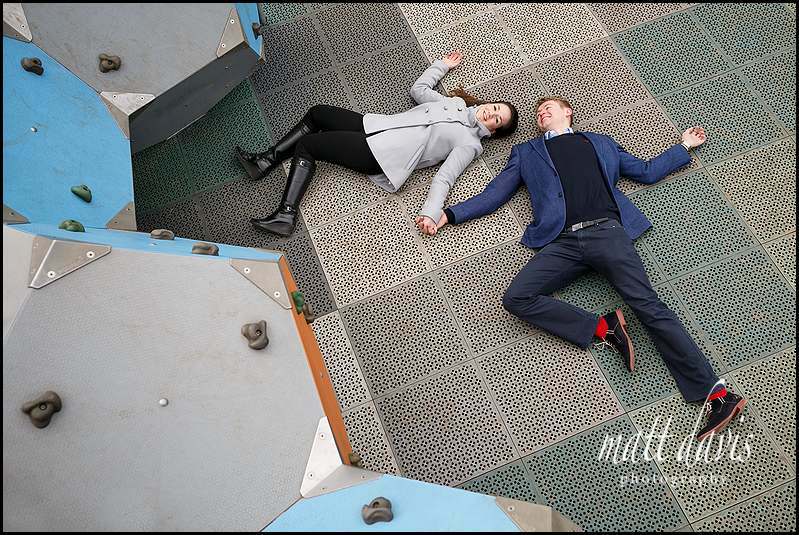 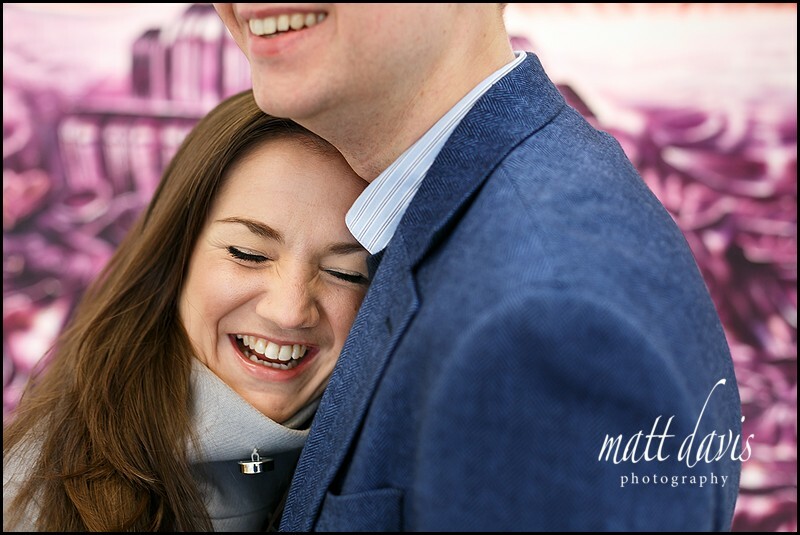 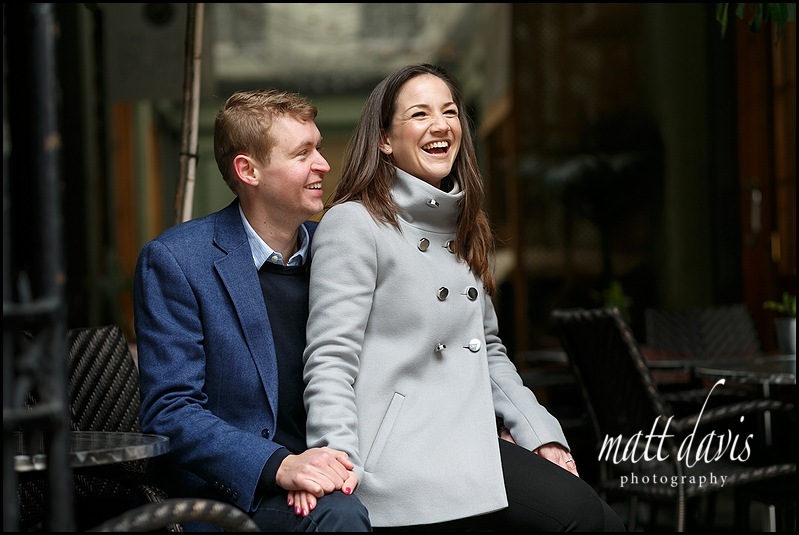 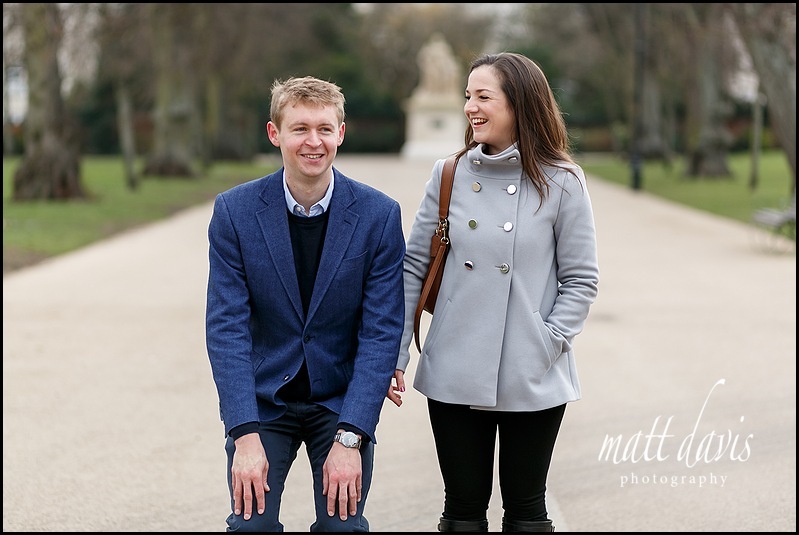 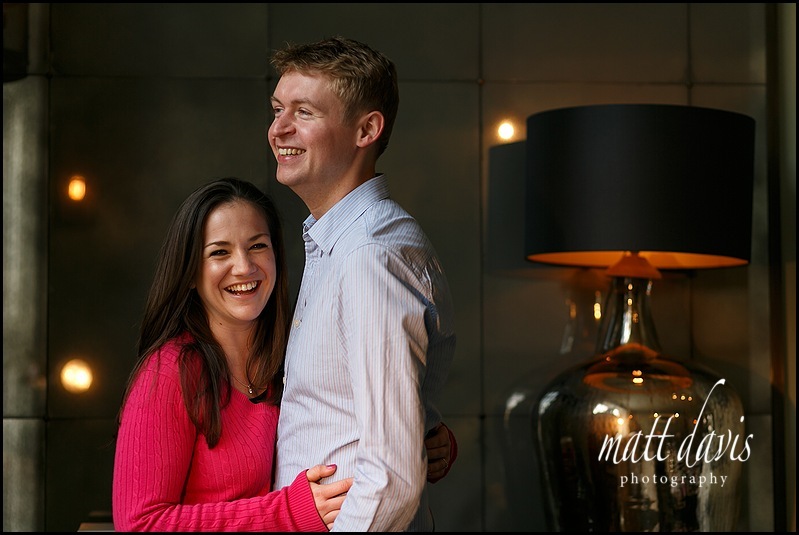 What a great couple they are though, Rowena has a super smile and plenty of enthusiasm, Stuart, well, he’s work in progress! 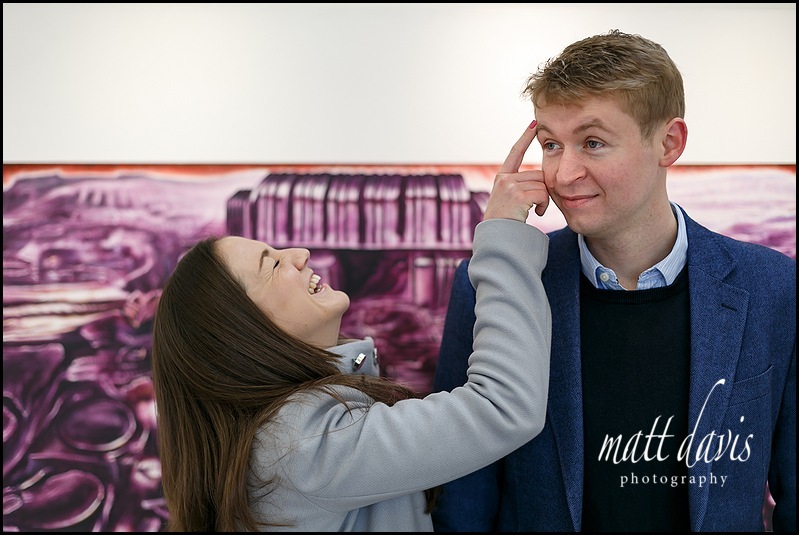 Ah, I joke, having someone who’s prepared to have fun on a shoot is all I ask. 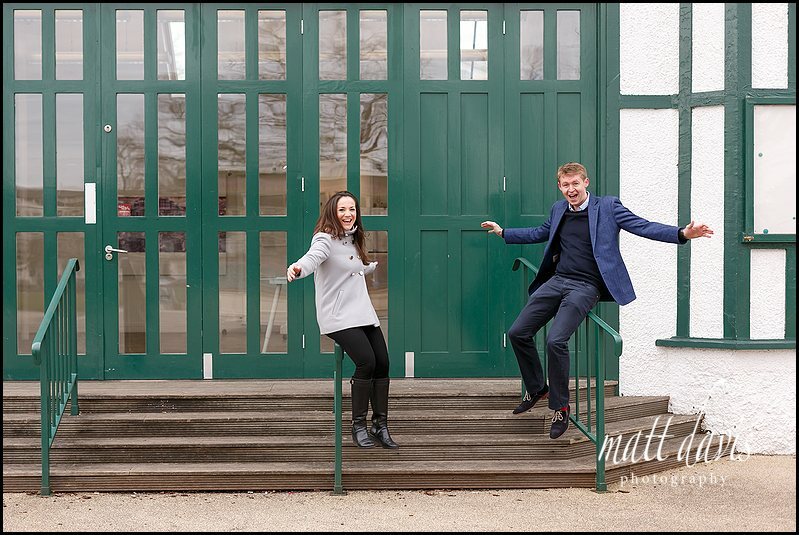 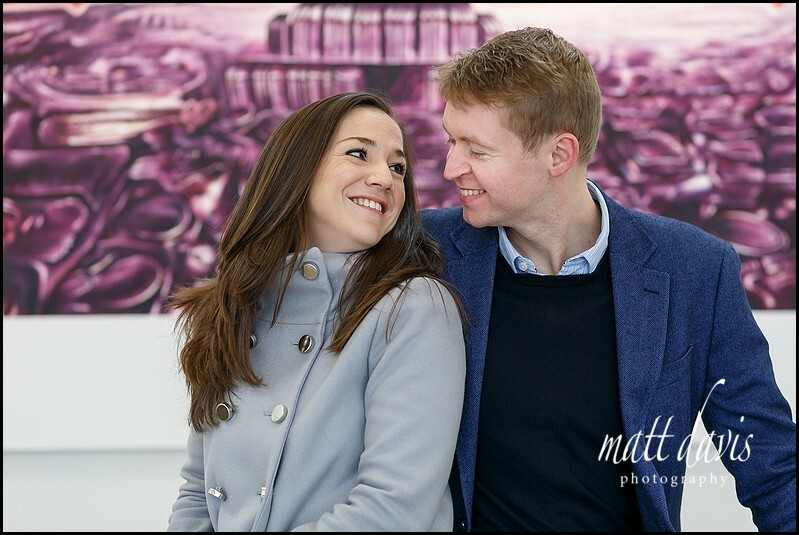 Clearly these two are very much looking forward to the wedding day, and spending the rest of their lives together. 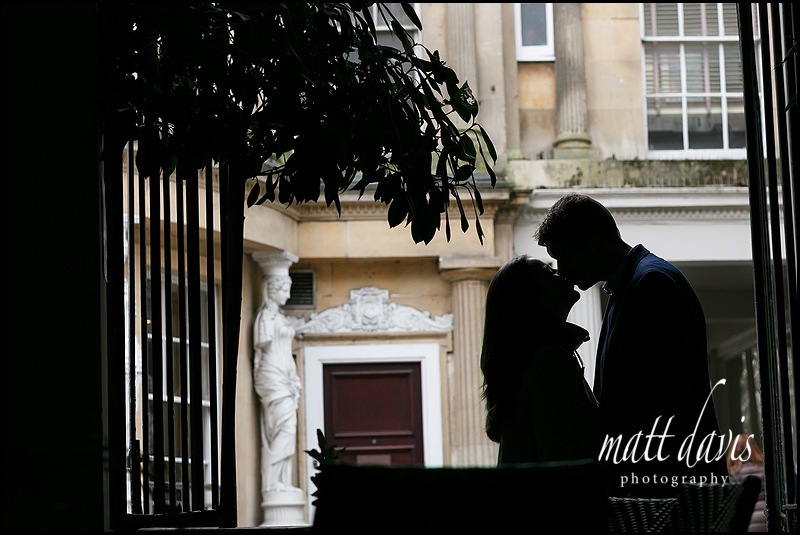 Here’s a few photos from the day with more over on my Facebook page. 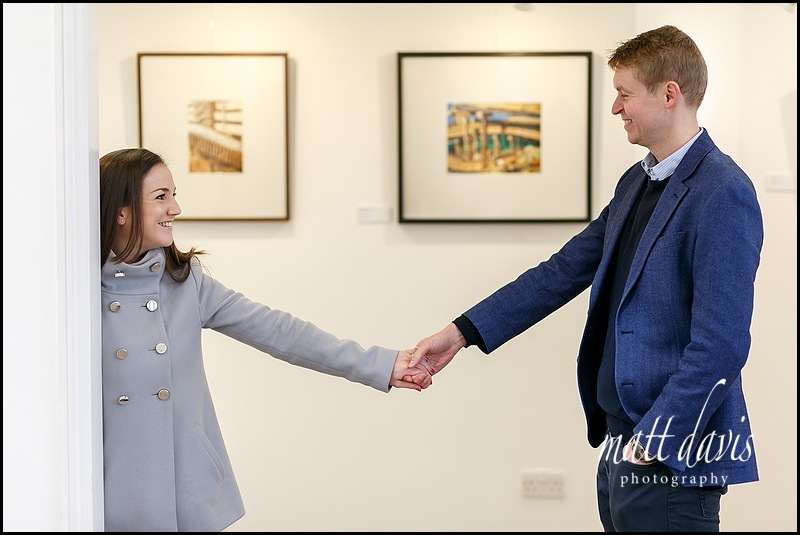 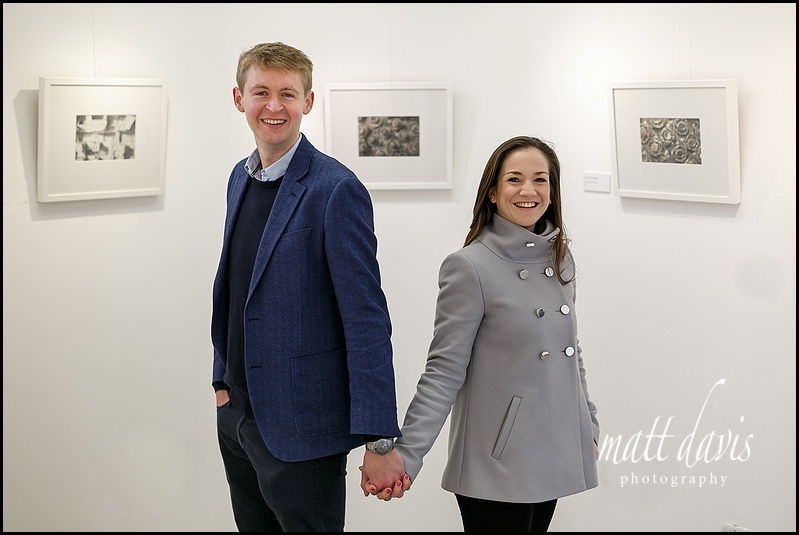 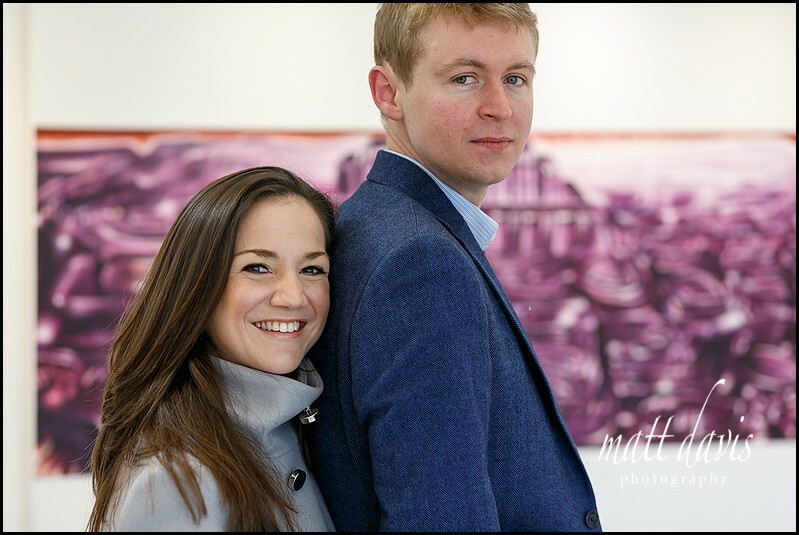 We had an unexpected stop en route after sliding down the railings at the Gardens Gallery, Cheltenham, by taking a look inside and meeting the artist James Fowkes, who’s exhibition created some of the backdrops for the photos below. 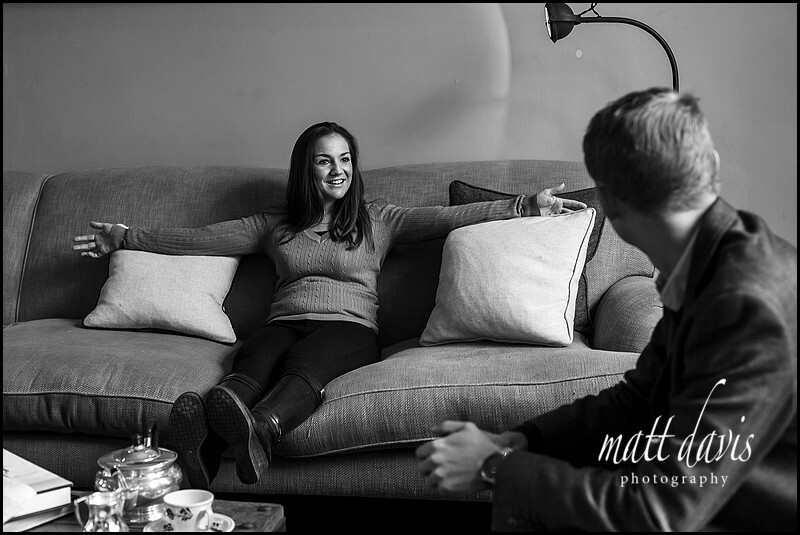 Such deep sofas Rowena’s feet didn’t touch the floor! 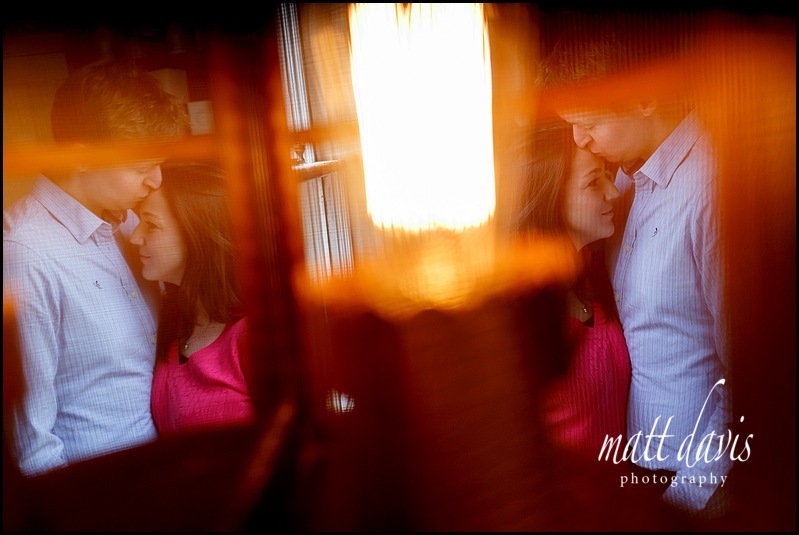 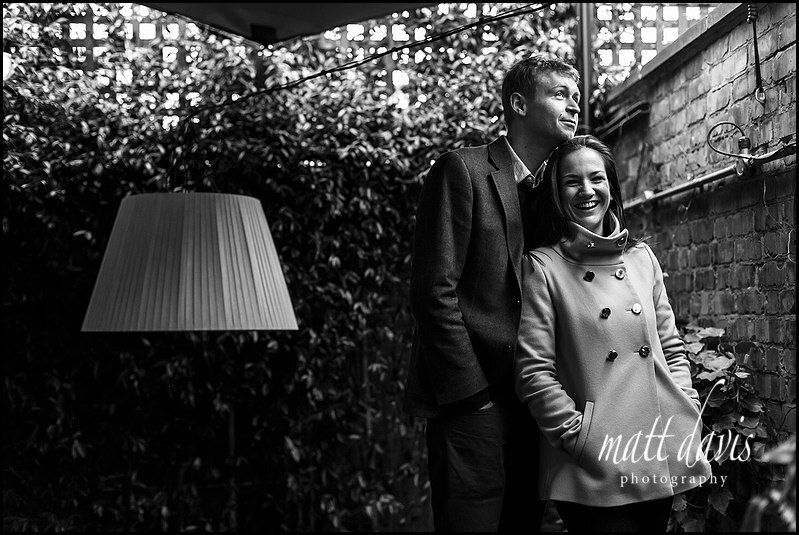 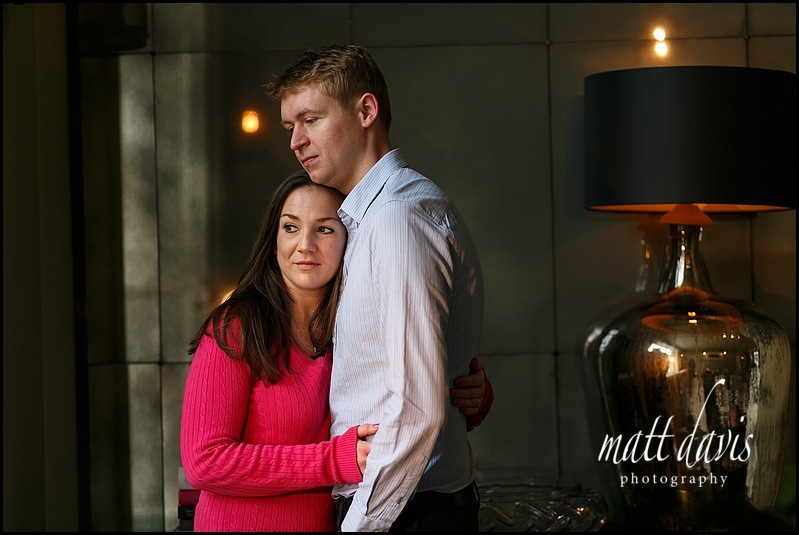 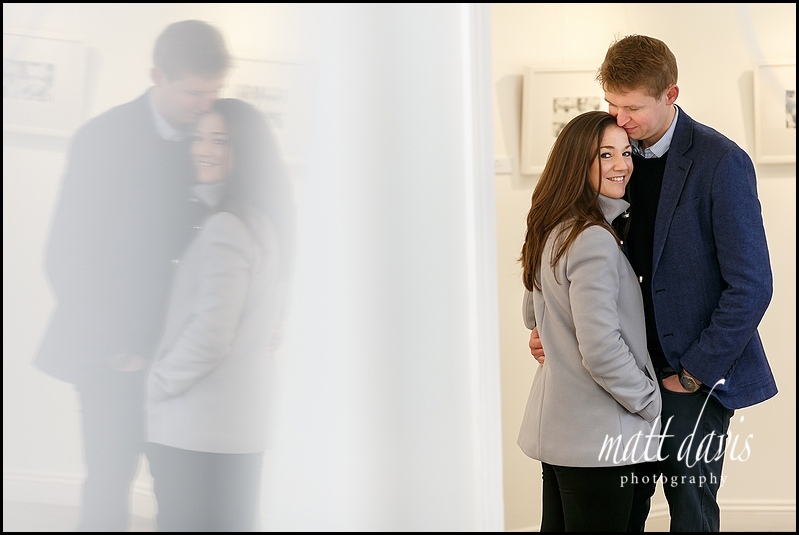 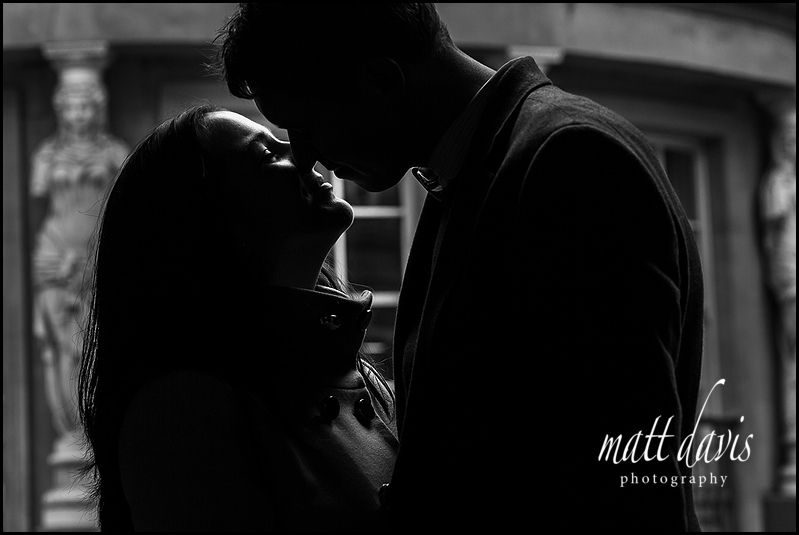 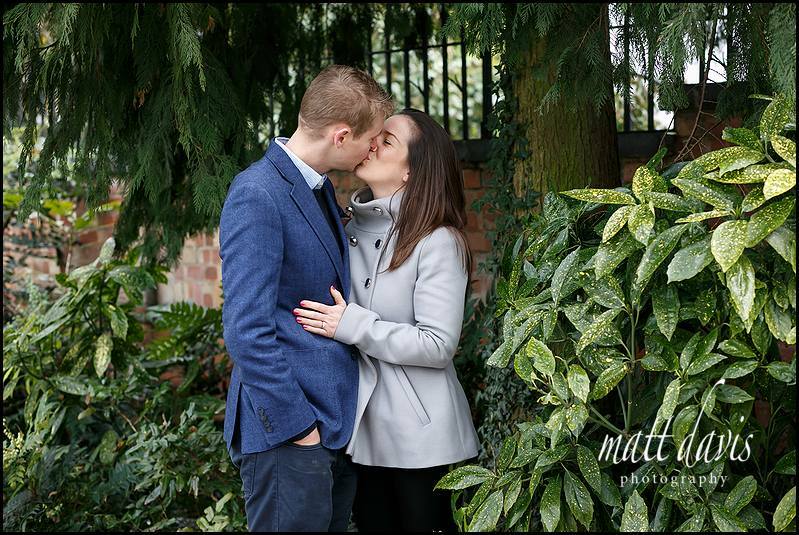 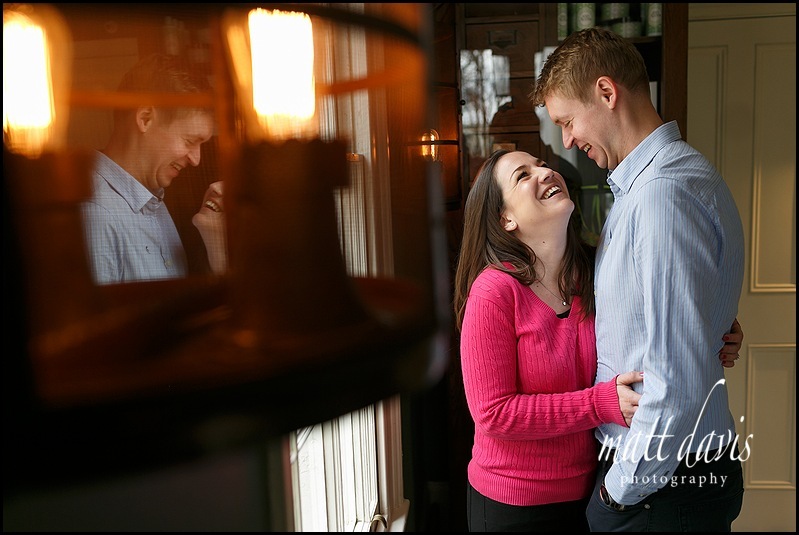 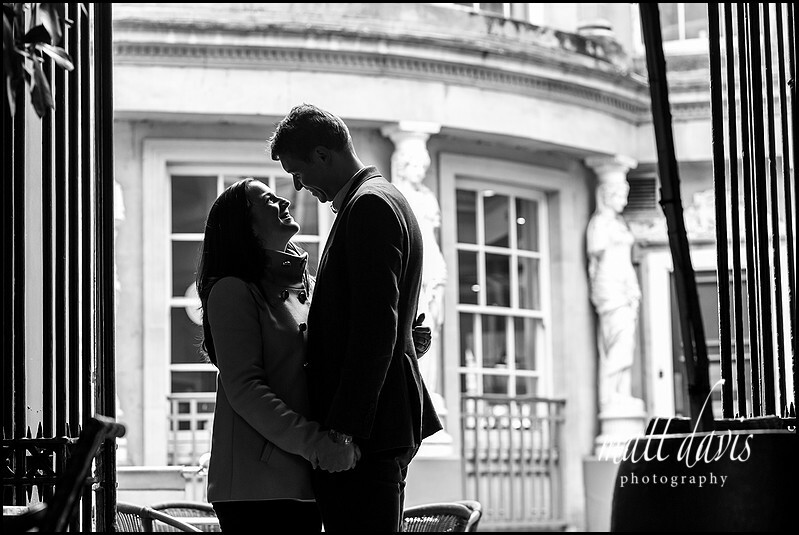 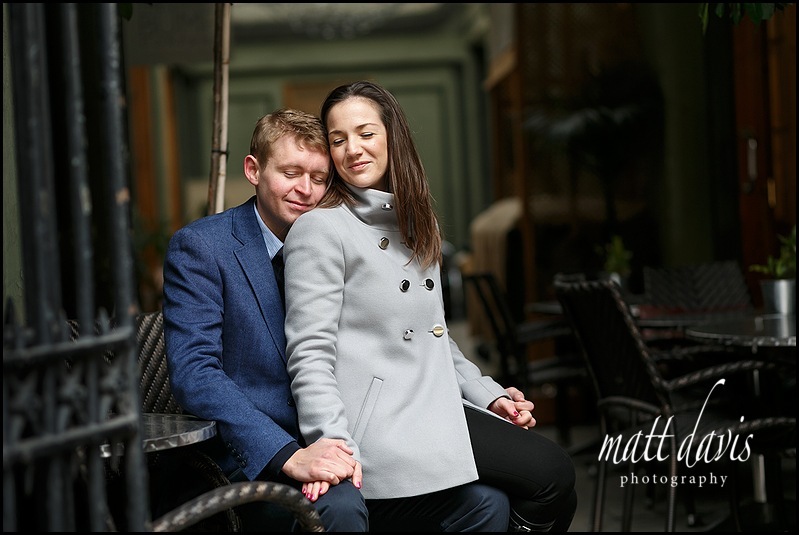 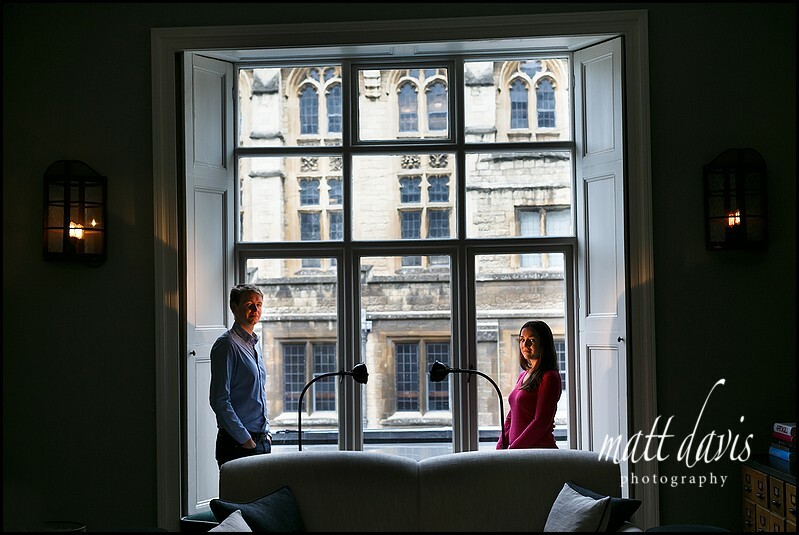 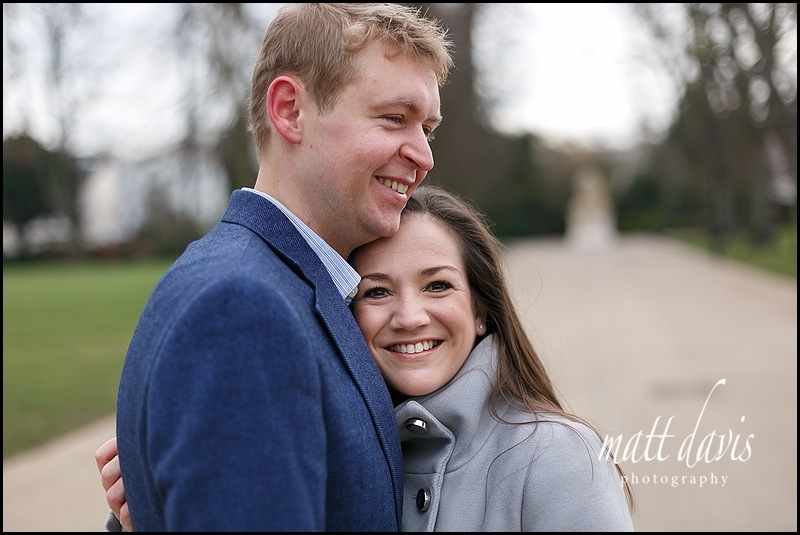 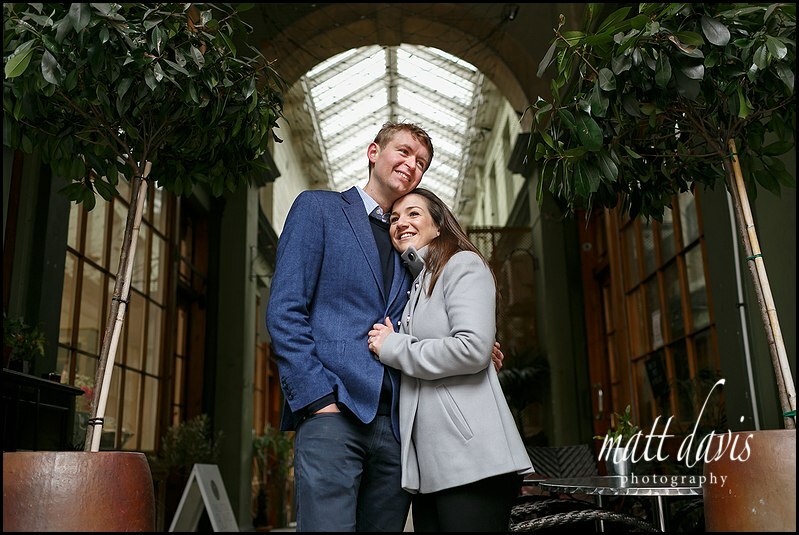 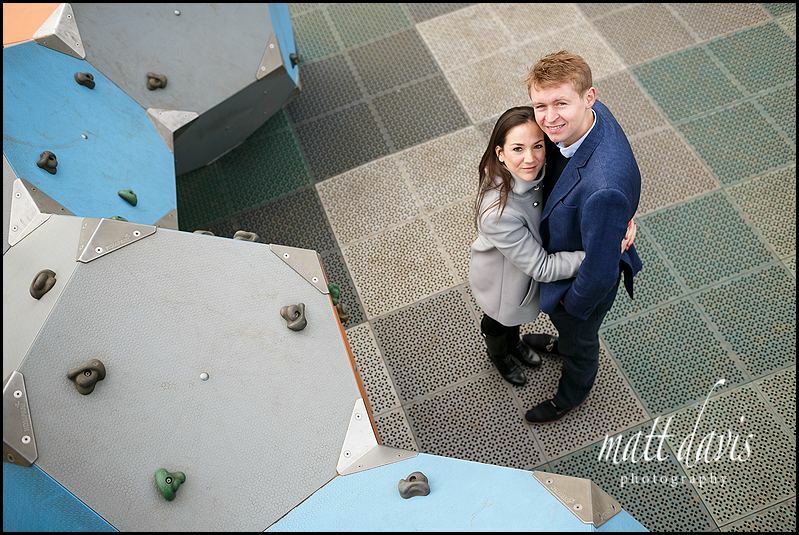 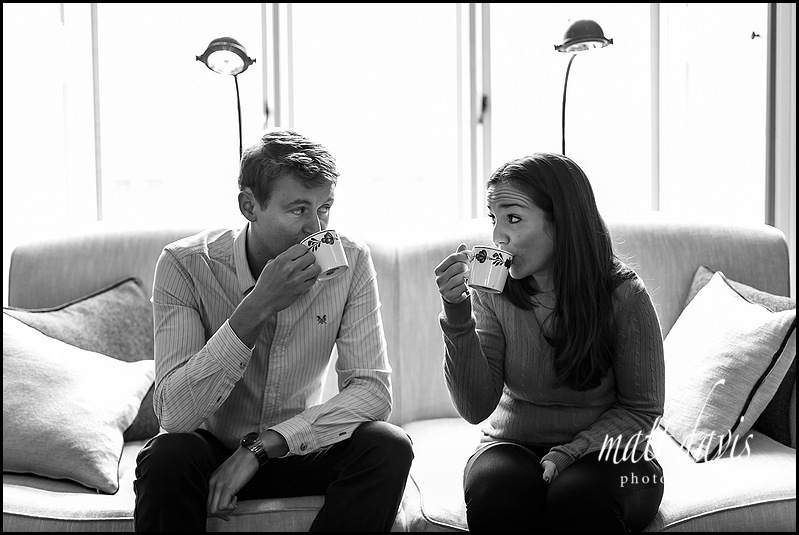 Stuart & Rowena will be getting married at Manor By The Lake in June this year. 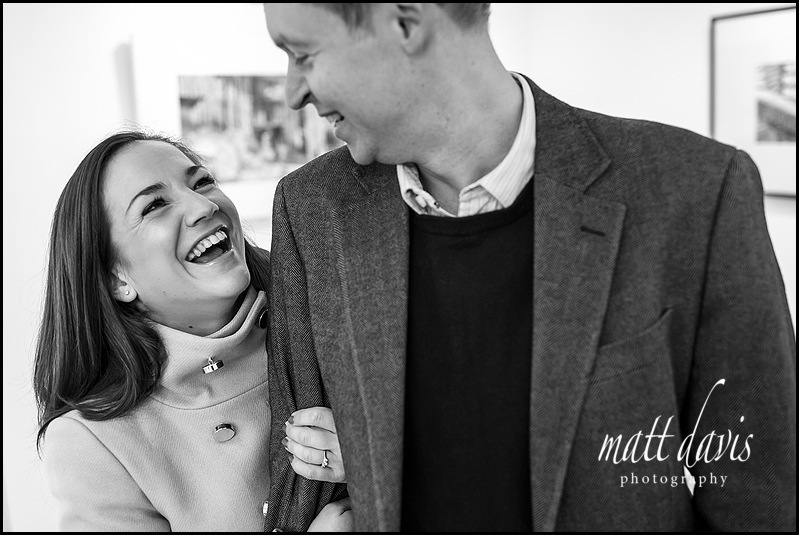 It’s a wedding I’m sure will be amazing fun and have plenty of laughs along the way.